I just wanted to get something up here on my blog - so here are some pictures of few item's I've made recently. 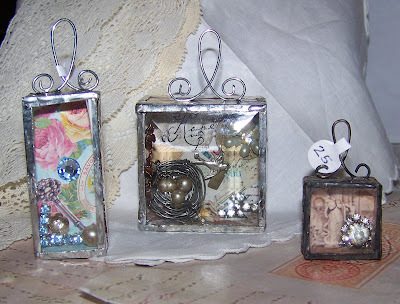 These ones below were inspired by my sweet friend & artist Alice! Thanks Alice. You are so talented & amazing I look up to you in so many ways. 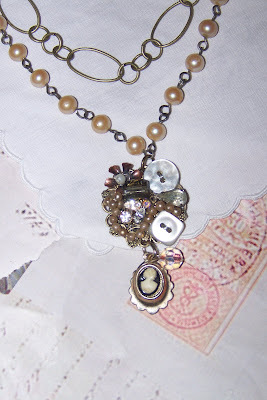 Alice also makes jewelry with vintage pieces... 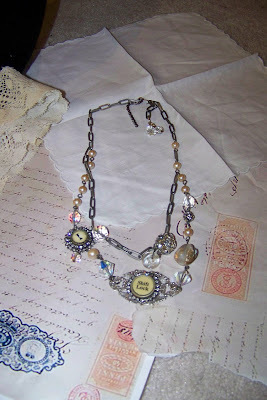 I just looking through all her beads & vintage pieces ~ I drool at all her jewelry she has made. Just gorgeous!! Amazing talent!! 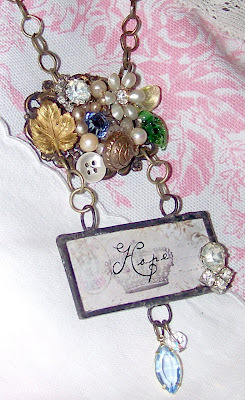 This piece below (also inspired by Alice) has tiny beads, buttons & baubles collaged over an antique gold filigree piece... with lots of vintage glass pearls ~ I love old yellowed pearls! 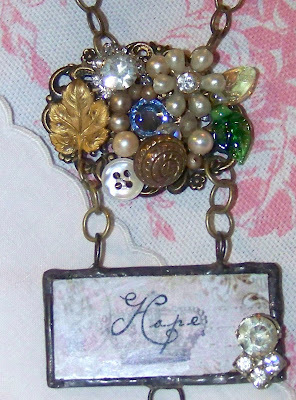 This piece below was made for my friend Linda Doyle ~ but now cannot find it! So Linda, if you are reading this ~ it has to be around here somewhere! So now you know what it looks like (and that I really DID MAKE IT~ I hope you like it ~ and if not, I won't bother looking for it!! LOL!! I'll find it!! Don't worry!! 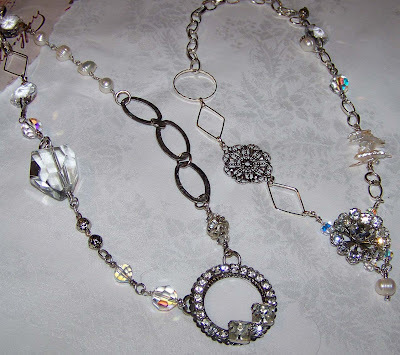 This is my all time favorite bracelet... and I sold it... some day I'll make another. 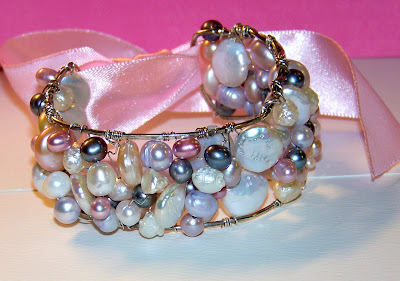 All sterling silver & freshwater pearls... then a satin ribbon ties it all off! I LOVE my necklace. Make more soon, puhleeze, I need more to feed my addiction. I love that bracelet, simply gorgeous!